Your husband probably already has plenty of ties, and he doesn’t want another knick knack. 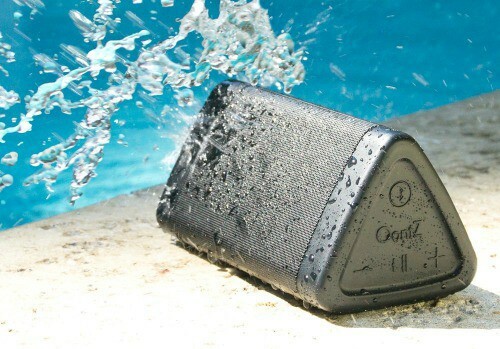 Try one of these unique and useful Father’s Day gift ideas. Finding just the right Father’s Day gift can be a challenge. Every year, I want to give my husband something to show him how much he means to us. Something that will make him feel loved and appreciated. 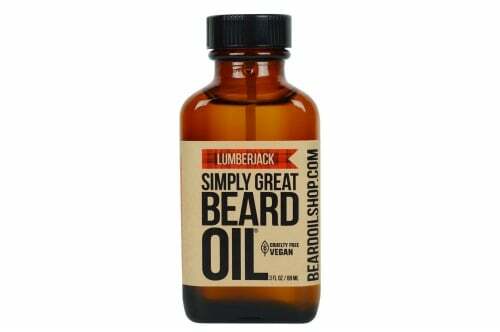 If you’re searching for just the right gift for your man, check out some of these! I don’t know what it is about men and speakers, but it seems like they all love them. My husband is no different, and I think he’d love one of these. 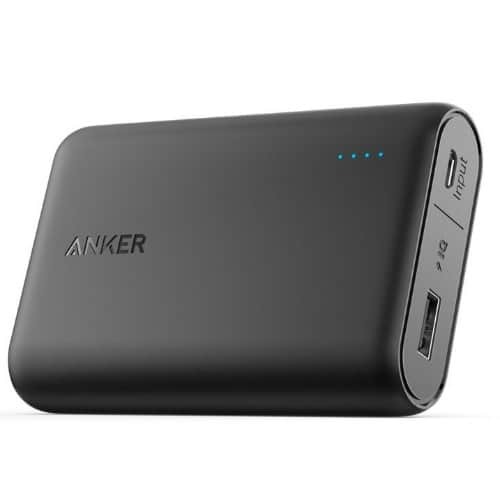 This portable charger would be a super-useful and welcome gift for anyone! If your husband enjoys getting a massage, set aside a time to give him one! This is a free but much-appreciated gift for many husbands. If you want to make this gift extra-special, wrap up a bottle of massage oil to include with your card. Flashlights are kind of like speakers. At least in our house, they seem to be guy magnets. All the guys in our house find them fascinating, and they always like to keep one handy. 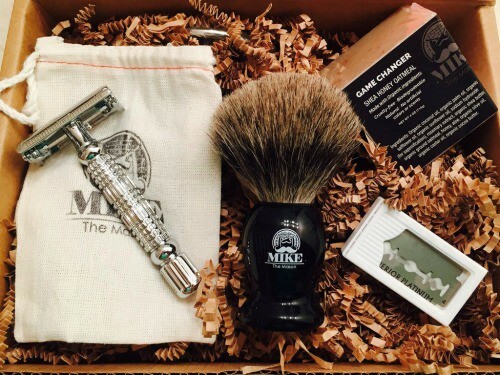 This shaving kit is packaged and ready to give as a gift. Along with the razor, it even includes an organic honey oatmeal shave bar! 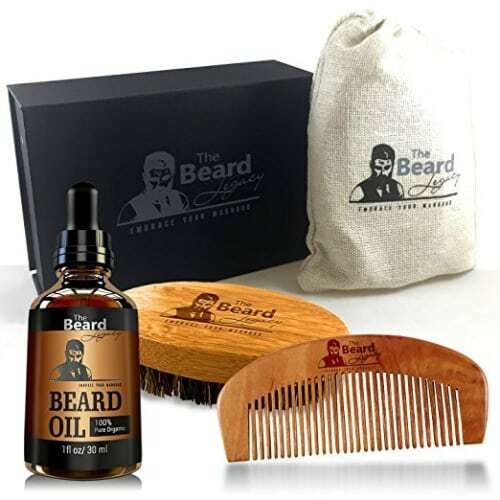 If you like the idea of beard oil (above), you might want to try this complete beard care kit, which also comes with a brush and comb. 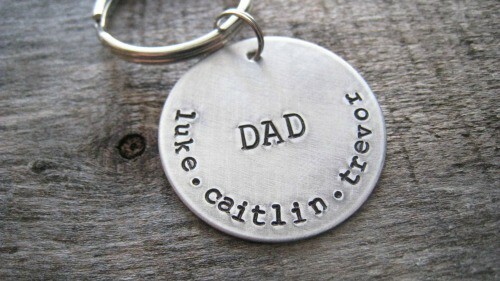 I got my husband one of these a few years ago, with all of our children’s names stamped on it. He loved it and it’s still in use today! This is another one of my past Father’s Day gifts to my husband. He loves it (his says “Dad since 1999”). 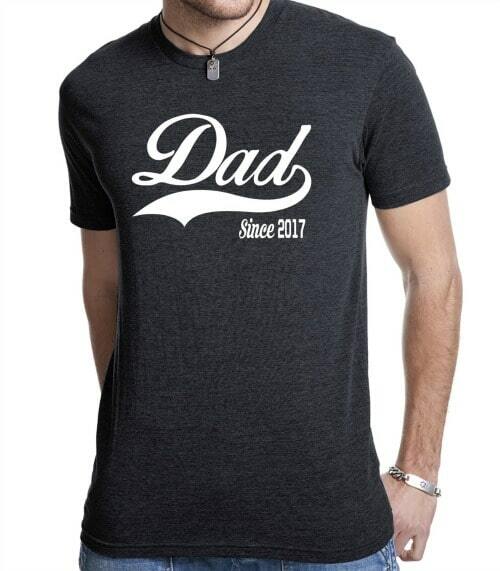 🙂 You can personalize this shirt with the year your husband became a father. One of these spoons makes a great gift! Package it with a glass sundae cup and some delicious chocolate sauce. Get him something super useful, with this 9-in-1 digital tire gauge multi-tool. 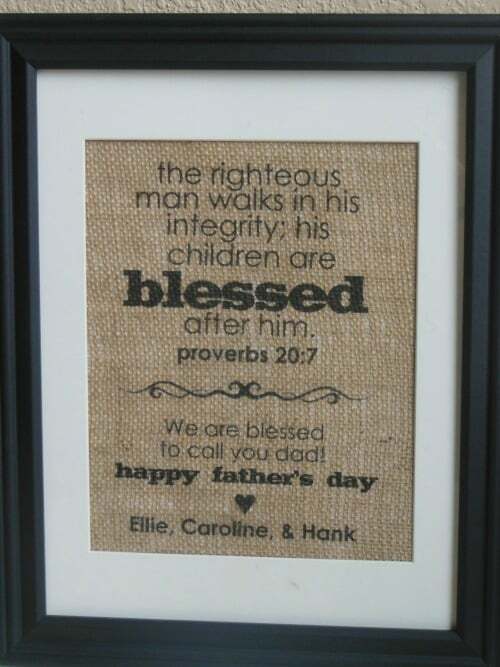 This personalized burlap print is a unique gift idea. My husband works from home, and this is great for his home office! 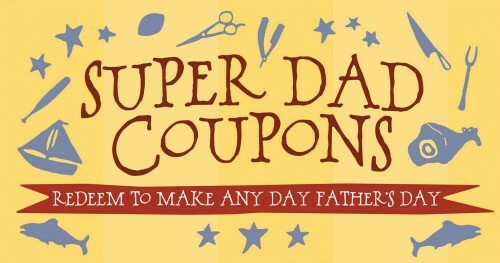 These personalized gift coupons include coupons for dad that he can redeem at any time (for things like “complaint-free yard work,” “pancake breakfast,” etc.). Dad will feel very special when he receives these. 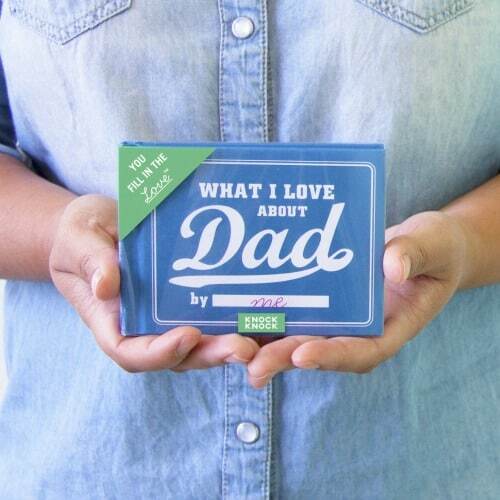 This little book contains fill-in-the-blank lines that will help you create a personalized book any dad would love. 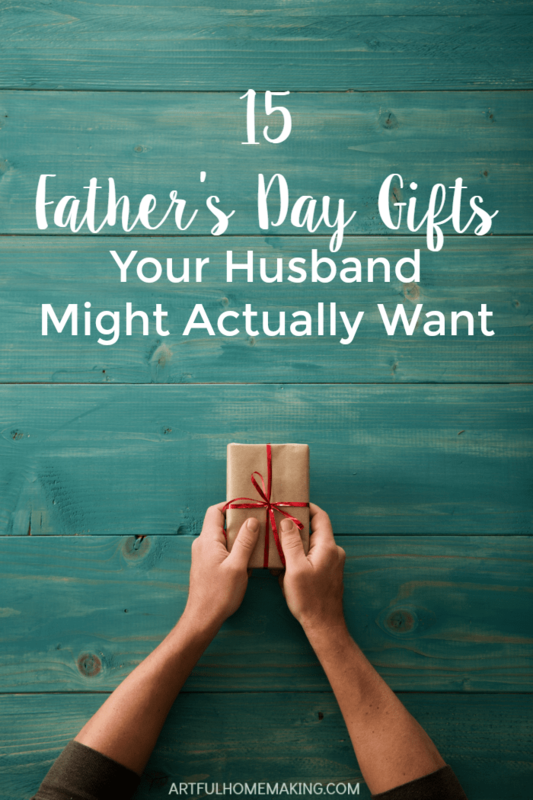 Do you usually buy your husband a gift for Father’s Day? 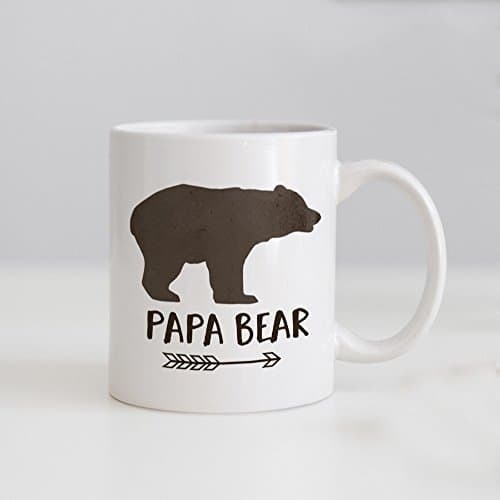 Do you have any other Father’s Day gift ideas you would add to this list? This is a great list! Thank you for sharing it at the Grace at Home party at Imparting Grace. I’m featuring you this week! Thank you, Richella! And thanks so much for featuring my post! 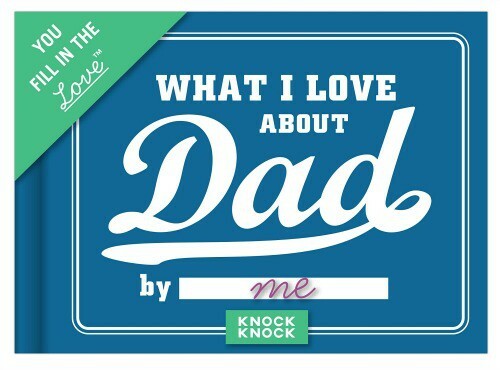 What great ideas for Father’s Day! Thanks so much for sharing! My husband has a portable charger and LOVES it! 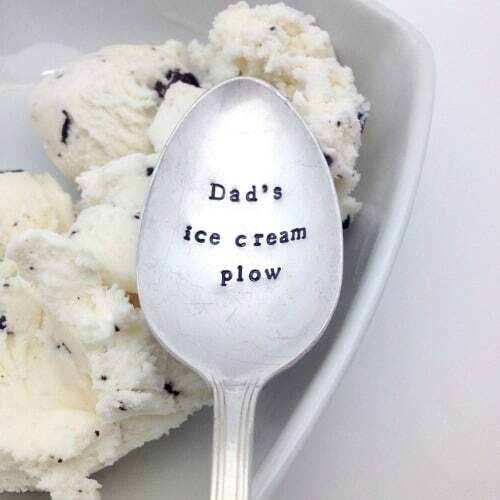 I LOVE the ice cream spoon idea! That might just be what my husband will be getting this year! Thanks for the helpfully list of ideas! I got my husband one of those for Christmas last year (with the sundae glass and ice cream toppings), and he really liked it! There are some great ideas here! We have a Dad that is hard to buy for! Thanks for sharing! So glad it was helpful, Leslie!